We are an agent for Classic Memorials. Come in and see our display. 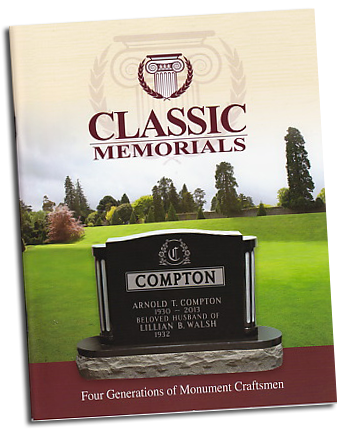 We have a very large selection of monuments. Let one of our trained staff guide you through designing a monument, which will be a tribute to your loved one.